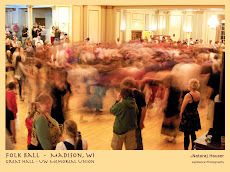 Last weekend was a beauty of a spring weekend. Warm. Sunny. Of course that meant a bit of yard and garden work. Funny how that never really seems like a chore on the first such day. After I uncovered the patio furniture I even enjoyed a beer out in the yard. Ahhh! Nala the cat was outside with us, finally getting a chance to really have full run of the yard. 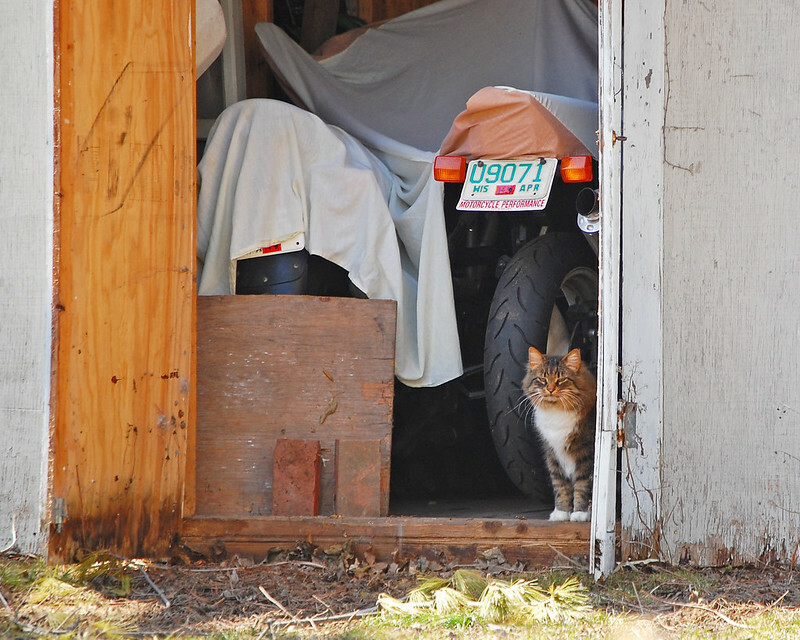 When I opened the shed to grab a shovel and greet the two motorcycles stored therein, Nala was immediately curious and had to check the place out. For some time she stood watch over the yard and the bikes. 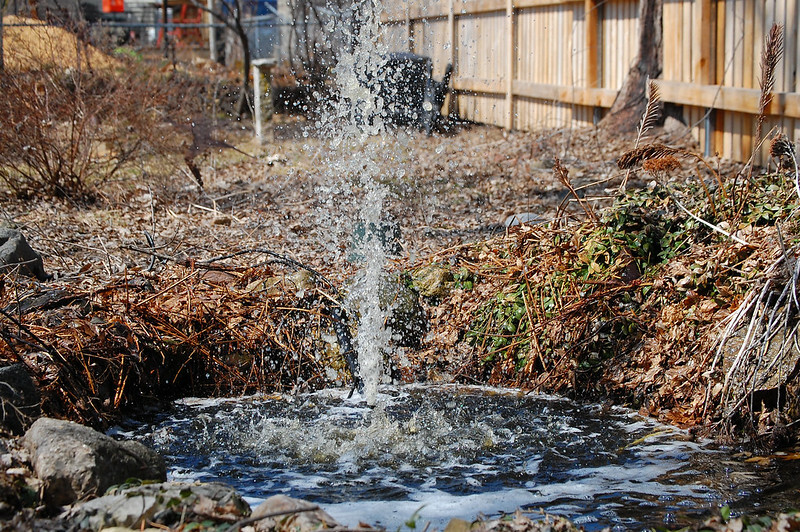 The tiny pond I have in the back yard has a pump-powered waterfall, but since it freezes solid, I pull the pump for the winter. Consequently the pond becomes essentially a huge vat of maple leaf tea steeping for 4 months. It smells pretty fetid come spring. Getting it ready for spring is not really a pleasant task. I muck out a lot of the leaves with a rake, but since the water is still around 40 degrees (F), I do not drain it and thoroughly clean it. That comes later. For now I just scoop it, then install the pump and let it aerate. Gets a little whiffy for a while. Still, it is good to hear the splishing of the water. The rest of this week has been rain, rain, rain, and dropping temperatures. Still, there is no escaping the inevitable bloom of spring. Finally!